“I always tell people — Life supports what supports more life. If you’re trying to support yourself, you’re going to get a certain level of insights. If you’re trying to support your family, you’re going to get a different level of insights. If you’re trying to support your community or humanity, you get insights most people never dream of. That’s really been the secret to my 38 years because those are my real goals.” — Tony Robbins, from an interview with Fortune magazine. When Tony Robbins announced he was writing a new book last fall, everyone — including myself — was excited. After all, Tony Robbins hadn’t published a new book in 20 years. But when Robbins announced his book was going to be on investing, a lot of people were skeptical. What does a self-help guru know about finance? They wondered. Robbins’ publishers even begged him not to write the book. They said, choose any topic, just don’t write about finance. Robbins didn’t listen. He wrote the book anyway and guess what happened? Money: Master the Game became a #1 New York Times bestseller. So what did Tony Robbins know that his publishers and the skeptics didn’t, and probably still, don’t know? Tony knew his worth in the value economy. 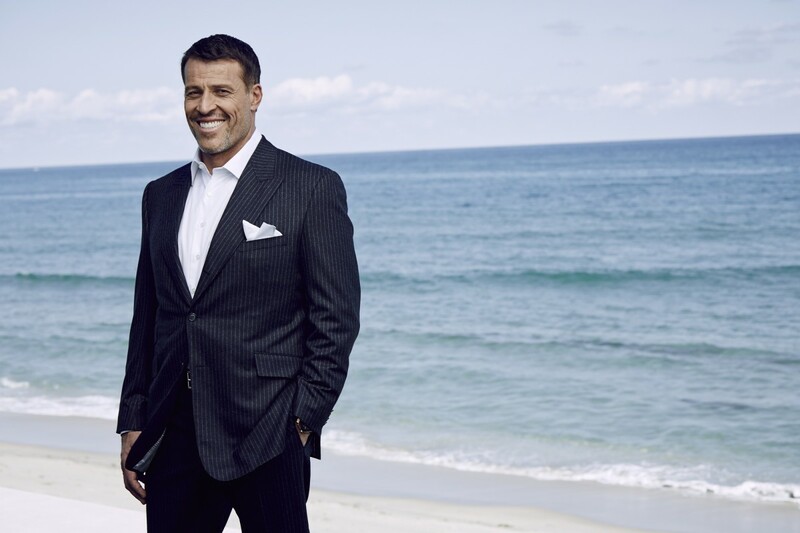 For the past 38 years, Tony Robbins has been the world’s “guy” for personal achievement. Robbins has been adding value through his books, his cassette tapes, his seminars, private and group coaching, charities, and more. He’s the true definition of a Go-Giver. What most people don’t realize is that being a Go-Giver, you’ll accrue more than just money and happiness. By out-giving the universe you, “get a different level of insights,” as Tony Robbins says. I never thought about this until recently, but insight is often more valuable than money. Insight can be proportional to money. But if you’re smart you can buy insight for pennies on the dollar. Tony Robbins is one example. Robbins was able to write Money: Master the Game because he interviewed 50 of the smartest and most successful investors in the world. He took their advice, packaged it, and turned it into something the average investor could use. But to have access to those insights is where most people haven’t a chance. For example, to invest with Bridgewater, Ray Dalio’s hedge fund, you need a minimum $5 billion in assets. So how does a guy like Tony Robbins, with a net worth of $500 million, pick Ray Dalio’s brain for 3 hours? Two things: 1) Tony had a vision for his book that was bigger than himself — teaching the average person how to invest 2) Tony leveraged his worth in the value economy — 20 years ago, Ray Dalio bought one of Tony’s programs and was a big fan. Tony used these two levers to interview 49 more financial wizards. What did it cost him? Not as much as you or I would pay. Since the cost of acquiring these insights was spread out over 38 years. Money: Master the Game is the prize you get at the end of a 38-year long marathon. P.S. If you haven’t read Money: Master the Game, it was released in paperback yesterday. And remember, your level of insight increases in proportion to your vision.